Getting demerit points in Alberta is NOT a good thing. Demerit points are given to drivers after a traffic ticket or driving conviction. Accumulating too many demerit points is one way to get a suspended license in Alberta. All drivers need to understand how the demerit point system works and how it can impact their driver’s license and car insurance. This blog post answers your questions about demerit points in Alberta, how Alberta demerits work, and how they can impact your car insurance rates and driving record. Alberta uses a demerit point system. Under the Traffic Safety Act, fully licensed drivers are allowed to accumulate up to 15 demerit points before their license is suspended. 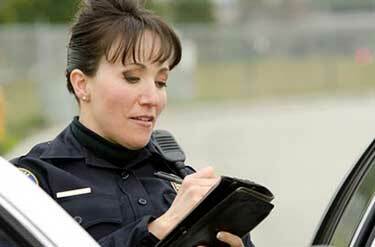 Demerits are accumulated on your driving record for each traffic conviction. You will be assigned 2 – 7 demerit points for traffic conviction. Not all traffic tickets are subject to demerit points. Minor convictions carry fewer demerits than major convictions. Depending on the severity of your traffic conviction, number of demerits accumulated, and other factors, your license could be suspended. 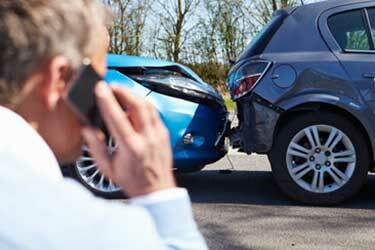 Your car insurance in Alberta could also increase. Accumulate 8 demerit points : You will be mailed a notice. Accumulate 15 demerit points : If you accumulate 15 demerit points within a 2-year period, your licence will be automatically suspended for one month. Two demerit point suspensions in one year : You will lose your driver’s license for three months. Three or more demerit point suspensions within two years : Your license is suspended for six months. You may be required to appear before the Alberta Transportation Safety Board. Convictions : Traffic convictions range from 2 – 7 demerit points. GDL drivers : GDL drivers are subject to demerit points in Alberta. GDL suspension : GDL driver’s license can be suspended after accumulating 8 demerit points. Appeals : There is no method to appeal demerit points. You can only appeal if demerits were assigned in error. Reinstating : When a demerit point suspension is served, your license will be reinstated with 7 demerit points on your driving abstract. Fighting Tickets : If you successfully fight a ticket, the associated demerit points will not be added to your driving record. Fully licensed drivers in Alberta can accumulate up to 15 demerit points before a license suspension. This is also applicable to other classes of fully licensed drivers – license classes 1 to 6. Drivers with a class 7 GDL Alberta driver’s license are afforded fewer demerit points than fully licensed drivers. Drivers with stage one learner’s or stage two probationary licenses are permitted up to 8 demerit points before license suspension. You will receive a notice once you accumulate 4 demerit points. You driver’s license will be suspended for one month if you accumulate 8 demerit points within a two-year period. If you get two demerit point suspensions in one year, you will lose your driver’s license for three months. If you get three or more suspension in two years, you will lose your license for 6 months. Once a demerit point suspension is served, your license will be reinstated with 3 demerit points on your record. Knowing how many demerit points you have is important. Keeping track is simple. Demerit points appear on your driver’s abstract in Alberta. Simply visit your local Alberta Registry Private Service Center to obtain a copy of your driver’s abstract. The cost is about $20 (prices vary by location). How Many Demerit Points Do I Have In Alberta? If you haven’t received a traffic ticket, you will not have demerit points. You will be notified via mail once you’ve reached 8 demerit points (4 points for GDL drivers). Contrary to what many think, demerit points do NOT have a direct impact on car insurance rates. Insurance companies don’t base rates on the number of demerits you have. 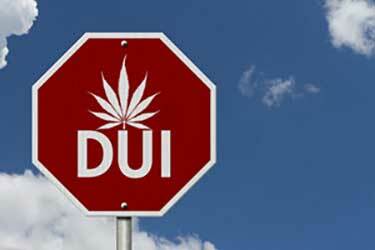 They base auto insurance rates on the number of traffic convictions and the type of conviction. Since traffic convictions are tied to demerit points, accumulating demerits can indirectly increase your car insurance rates. Since insurance companies determine rates individually, how much a ticket increases your rates is dependent on your insurance provider. There is only one way to reduce demerit points on your driving record. You can take an approved defensive driving course BEFORE you get 15 demerit points. You cannot reduce demerits after you go over 15. Successfully passing the test results in 3 points being removed from your driving record. You can only take the test once every 2 years. The only other way to reduce demerits is to wait for them to expire after 2 years, at which point they are removed from your driver’s license. 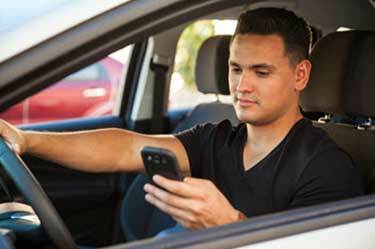 Distracted driving in Alberta continues to become a more serious road safety issue. Just recently (January 2016) the fine for distracted driving was increased to $287 and three demerit points. However, if you are also charged with careless driving due to distracted driving, you could get up to 9 demerits added to your driving record. The good news is most of these traffic violations only result in 2 demerit points. How Do I Check On My Demerit Points? You can check on your demerit points by visiting an Alberta Registry Private Service Center in your area. How Many Demerit Points Do You Have Before You Lose Your License? Fully licensed drivers in Alberta can accumulate up to 15 demerit points on their record. GDL drivers can accumulate up to 8 points before a license suspension. Do Demerit Points Expire In Alberta? Demerit points will stay on your record for 2 years from the date of your conviction. How Many Demerits Does A GDL Have In Alberta? Drivers currently in the graduated driver’s licensing system can have up to 8 demerits on their record before a license suspension. How Many Demerit Points Do You Get For Speeding In Alberta? How Long Does It Take For Demerit Points To Be Removed From Your Record? Demerit points will be removed from your record 2 years from the date of your driving conviction. You can also have demerits removed by passing an approved defensive driving test. Do Demerit Points Transfer Between Alberta And Other Provinces? Yes. Traffic violations with demerit points in other provinces can be added to your driving record in Alberta. Through the Canadian Driver Licence Compact, provinces share driver licensing records. For example, if an Alberta driver received demerit points in Ontario, they would be added to your driving record. How Many Demerit Points Can I Get At Once? The number of demerit points you receive depends on the number of traffic convictions. If you are convicted of multiple traffic violations, you will receive demerit points for each conviction. For example, if you are convicted of failure to stop for a red light (3 demerits) and speeding - exceeding limit by 31 to 50 km/h (4 demerits) you would receive 7 points.